I keep missing you on Skype! I have a feeling that this may call for drastic measures, or perhaps a mention in the next issue of the newsletter. Way to go! A fun read after getting home from a full day of teaching! Thanks! I am following from Vigo (Spain). 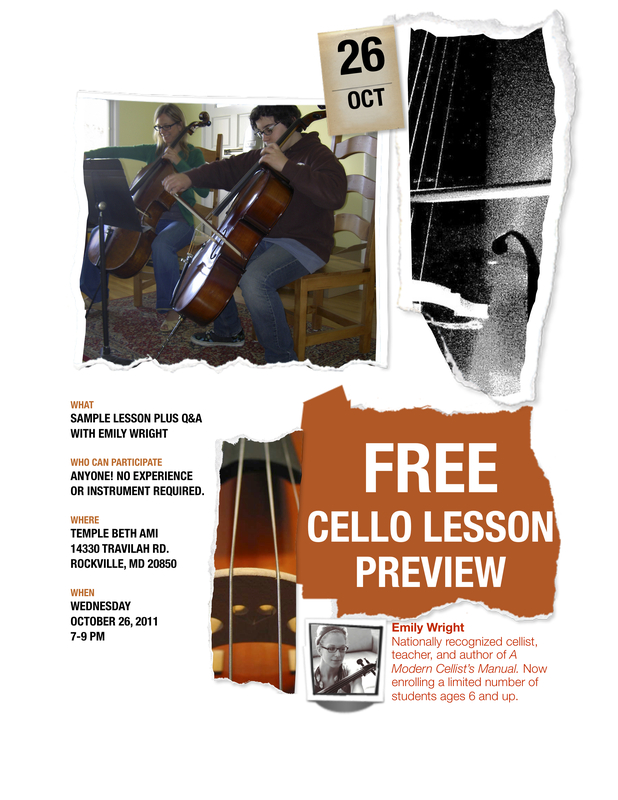 As an adult beginner in cello playing, I hope to really enjoy your blog and also learn a bit!! been reading & enjoying your blog for a while now — it has such friendliness! Loved the newsletter type thing! I chuckled and then paused to nod thoughtfully at Cate's Confessions of a Two-Timing Cello student… I recently had a couple of lessons with a different teacher too, not with the intention of swapping, but just out of pure curiosity's sake, but not without a few guilty pangs. Curiosity satisfied, I'm back in the fold of my original teacher — the adult beginner can be a delicate beast — she wants to get better, but needs to have all her other thoughts and feelings about the whole endeavour kept gently safe. I like this design better than the first. Will this be your new site layout?